Broad Street Bully, Rawster, DrexlersFade and 5 others dapped this. Pit Bull, Broad Street Bully and Rawster dapped this. Broad Street Bully, Rawster, DrexlersFade and 4 others dapped this. Rawster, ItsMeButters and Dave24 dapped this. That's a true statement, but there were a lot of black players better than Jackie back then. Jackie was the best choice because of his background (education, military, etc.) and age. Branch had to have a guy that could handle the racism that was inevitably going to be thrown at him, and Robinson...who I think was a Lieutenant in the Army...had the discipline and intelligence to handle it sensibly. 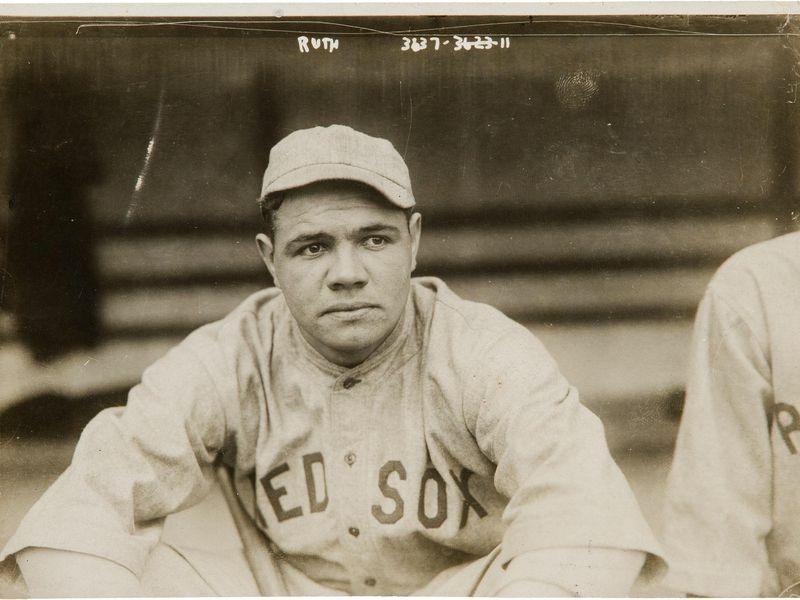 Josh was considered the black Babe Ruth, but he had a lot of health issues (mentally). He deserved a shot, but he couldn't be the first. Rawster, ItsMeButters, FooFighters and 4 others dapped this. Pit Bull, Rawster, ItsMeButters and 6 others dapped this. I remember reading about a biography, can't recall the name, about Ruth some years ago. It mentioned him being harassed in the reform school he was in. Kids called him "****** nose". So, him being thought to be black isn't a new thing. Pit Bull and Dave24 dapped this. That is no cracker nose for sure! Dude is at least 1/4 Black. Rawster, Skooby, Supa and 2 others dapped this. My grandmother and her siblings are half black-half Irish. Babe could fit right in. String Bell and Dave24 dapped this. i guess its possible but if his parents are both german, then I dont think so? There's defnitely a brother/sister in the family tree somewhere. Rekkapryde and String Bell dapped this.